Manila Shopper: UNIQLO’s Largest Retail Space in Southeast Asia Opens on October 5 2018 with Exciting Offers! 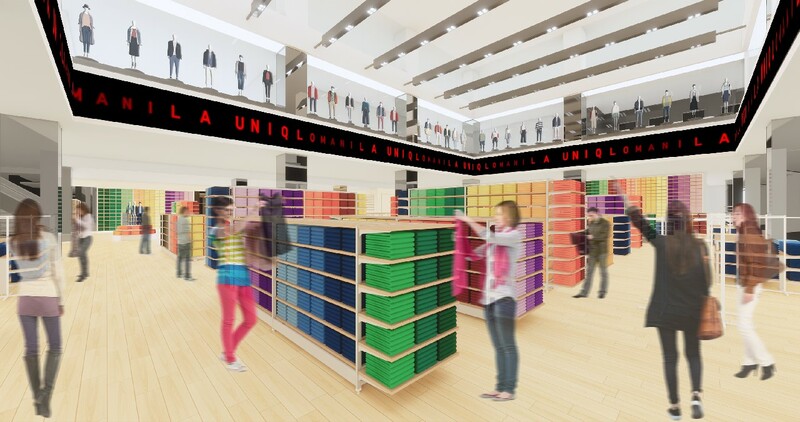 UNIQLO’s Largest Retail Space in Southeast Asia Opens on October 5 2018 with Exciting Offers! • Mickey Blue. 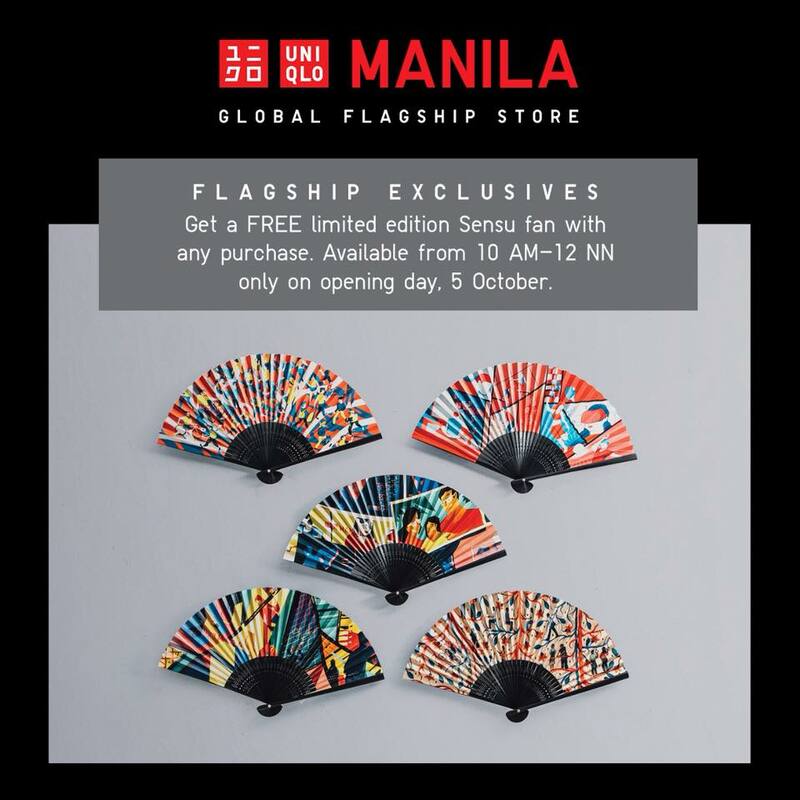 This collection is inspired by the rich blue of traditional Japanese indigo. • Mickey Art by Andy Warhol. The collection features the 20th century pop art legend’s take on the beloved icon Mickey Mouse. • LOVE & MICKEY MOUSE COLLECTION BY KATE MOROSS. The collection features the work of visual artist Kate Moross notably through her dynamic monochrome treatments of Mickey Mouse and Minnie Mouse drawings. The designs also incorporate playful lettering for a perfect street style look. 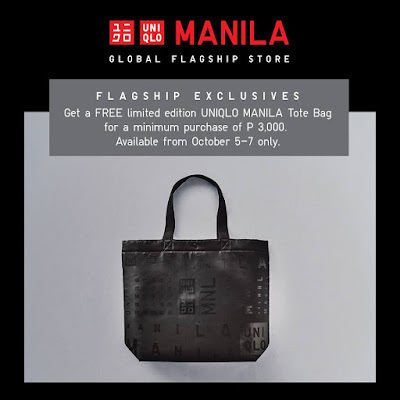 Limited Edition UNIQLO MANILA Tote Bag for a minimum, single receipt purchase of P3,000 from October 5 to October 7. Limited Edition UNIQLO MANILA Tumbler for a minimum, single receipt purchase of P 5,000 from October 5 to October 7. 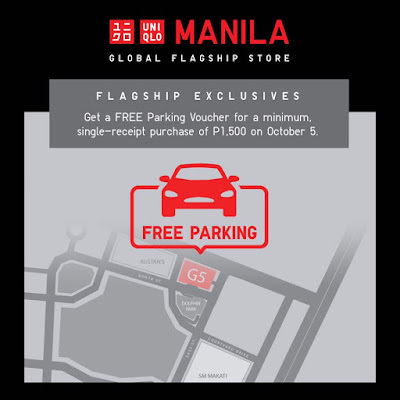 Free Parking for the first 4 hours for a minimum, single receipt purchase of P1,500 on October 5. PLUS....Starbucks surprise treats will be made available for those early in line on October 5.